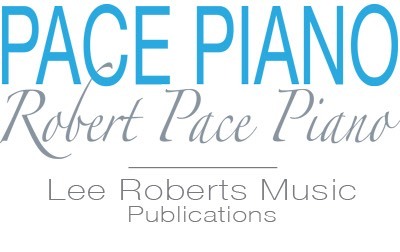 Our profession lost a creative force on September 5, 2010 with the passing of Dr. Robert Pace. After so many years, one forgets the radical new approach he brought. His ideas were "jelling" in the late 1950s when he began teaching at Teachers College, Columbia University in New York. His new materials were the basis of intensive teacher training workshops beginning in the early 1960s. What he brought to the older practice of "class piano" was an interactive model where children participate in the listening and evaluating of each others' performances. Students enjoy working in groups and the challenge of learning together. His basic principle in teaching was that children never played anything they did not understand at their level. This had major ramifications for teachers and the approach and materials used. In the conceptual approach which he taught, young students learn not only to read specific notes because composers don't write just notes; they write musical ideas. One might think of the "notes" as the vocabulary of the musical language, but the musical ideas are the grammar which shapes musical compositions. This translates into a completely different way of approaching teaching and learning. Students are taught a context for what they learn. With Keyboard Geography, as one example, they are exposed to the entire keyboard with its repeated patterns of white and black keys, not just to Middle C and its few neighboring keys. Exploration of each new idea is encouraged, an approach which immediately engages children, especially in a group situation. Warm‑Ups expose them to all tonal centers, opening ever new avenues of exploration. Such teaching becomes the "Ear, Eye, Nose and Throat” approach to music learning. Children learn to read, analyze, write, hear, listen, speak about, and play whatever it is they are learning. Their learning is cumulative and they gradually, steadily begin to think like young musicians. Student growth in this kind of an approach is not haphazard. The learning cycles must be developed by materials which are based on sequential levels of complexity. Dr. Pace's piano books often looked "uninteresting” to some teachers. However, they are merely a blue print for "takeoff" into the world of creative music learning. This raises another aspect of his contribution: intensive workshops for teachers at all levels in which they learn creative new ways of presenting ideas and pursuing musical concepts. Dr. Pace founded the National Piano Foundation in the early 1960s for the promotion of this kind of teacher training. Having teachers work together in mutually‑supportive ways was another wholesome contribution. Years of teaching this way produces many memories and insights. This past year, in a small group of three 7‑8 year olds, Ed was going to perform a new piece from an easy classics collection. The two other children in the group had never seen or heard the music. Before he played, I asked them to look at the page and tell me what they saw. Within a few seconds, one girl said, "It is in AABA form." Having learned that "form concept” in Hot Cross Buns at her very first lesson earlier that year, I was delighted at her grasp of the concept and how it was functioning for her. Such examples could be multiplied. So as we mourn the passing of Dr. Robert Pace, let us celebrate his wonderful creative life, the person he was for so many of us, and for the thousands of students who have benefited from his life and teaching.